In the most beautiful corner of the tropical island of Zanzibar, along with the south-east coast famous for its white sandy beaches and turquoise waters of the Indian Ocean. Away from the hustle and bustle, the village of Jambiani, rooted in the local tradition, is the perfect destination for those seeking harmony, peace, and tranquility in a delightfully picturesque environment. We were positively satisfied, the house is perfect same as in pictures. Very clean (housekeeping twice a day) close from everything pool, beach, restaurants. The restaurant of the villas is one of the best at Jambiani, breakfast varied tasty! We spent six nights and five days at Jambiani Villas to wrap up our two-month adventure in Africa, and it was just what we needed! It’s very pleasant with a swimming pool at our door and the Indian Ocean less than 60 yards. The staff is wonderful! It is a great set up in a fantastically beautiful location which we would highly recommend. The villa was spacious and very well furnished, with a lovely balcony and amazing views over the sea. It was the perfect spot for some post safari relaxation. The villa was perfect for us, clean and a lot of space with a fantastic sea view. The pool was shared by the 2 villas and we had it more or less for our selves. I loved the fresh passionfruit juice on breakfast. The location was right on the beach, and very quiet which we were happy about. The staff was very nice and helpful. We’d just come from camps in Kenya so it was nice to be in a big clean modern villa. Loved our stay! The service, and the hosts were extremely friendly and helpful. The villa was lovely and perfect for 4 people. The beach was gorgeous and the shells were abundant. Everything was fantastic. The staff are very sweet and helpful and made our stay very smooth. The food is great and the restaurant is reasonably priced, around 10-15 USD for a main dish which is normal is the area. Huge bonus, they have a ton of bikes you can use for free! This Villa was beautiful, very comfortable and lovely staff!! Right on the beach but with enough privacy. The restaurant had some of the best food we had in Zanzibar! I came to Zanzibar for a short break, looking for peace and quiet. Jambiani Villas more than exceeded my expectations. The villas are beautiful inside and out, well-maintained and located right on the beach. Spacious with three bedrooms, perfect for bigger families or larger groups. Two bedroom villas are perfect for family, two couples or group of friends. The brand new modern apartments overlooking the sea, are perfect for couples. Here at Jambiani Villas we take pride in the environment and want to keep it that way. That’s why our complex is based on ecological, clean and sustainable concepts. 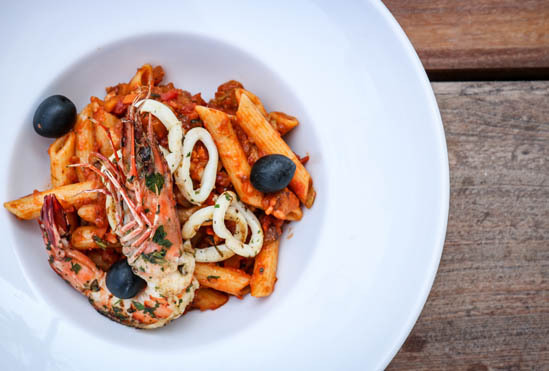 Our main restaurant ‘La Shira’ stays with the coastal theme and means ‘sail’ in English, inspired by the awnings that cover the building, It also supports the community, serving a range of meals using fresh, local ingredients. La Shira also boasts a great selection of cocktails and wine to make your evening that bit more relaxing. After your meal, you can even go and chill out on the rooftop bar to enjoy the rest of your night with yet more stunning views. 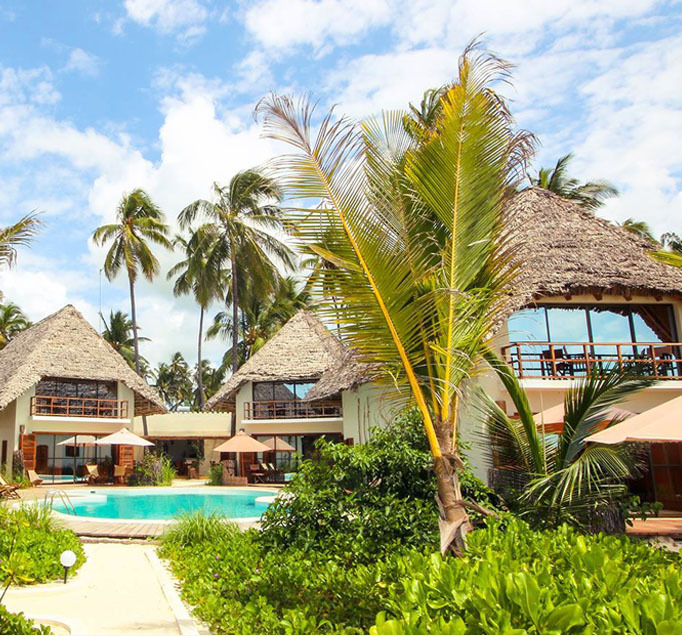 The hotel’s location makes it a perfect base to explore all the activities that Zanzibar has to offer. The turquoise blue waters invite any aquafanatics for some lovely exploration of tropical fishes and reefs. We will take you around the beautiful turquoise waters of the islands of Zanzibar. Continental breakfast is served in the form of the buffet at the La Shira restaurant. You can enjoy your morning coffee and the buffet from 7.30 AM to 10:30 AM. Nevertheless, if you feel like having an intimate morning, upon your request breakfast can be served at your villa with an in-house service. Please ask our staff about the details. 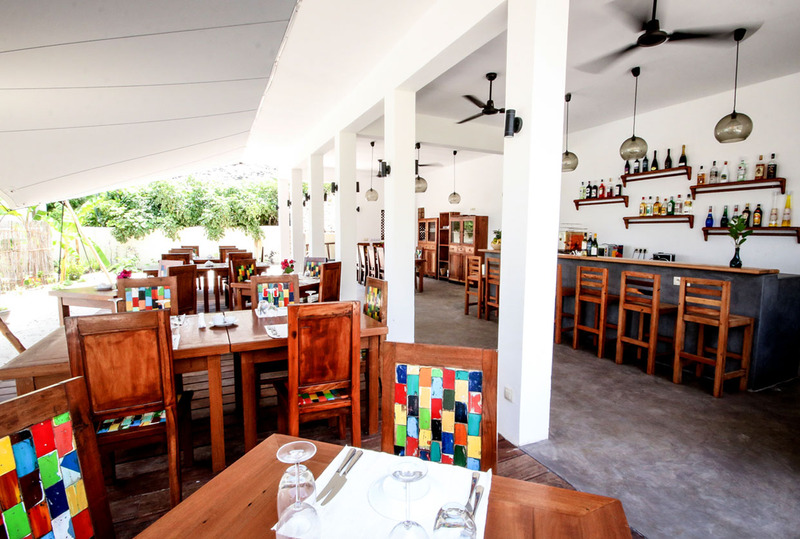 The La Shira restaurant offers an all-day menu with variety of seafood dishes, as well as meat courses and pastas. After dinner try our dessert-of-the-day. While staying in Jambiani, we recommend you to dine at local restaurants. A list of recommended places is available upon request. Please remember that waiting time at the restaurant of an hour or above is very much acceptable. Before you arrive, we will provide you with information on which of our locations you will be accommodated. There is also where the check-in will be held. If for some reason this information does not reach you, head to our office in the Kaskazini location. After your passports being scanned, we will inform you in which of the villa or apartment you will be accommodated. 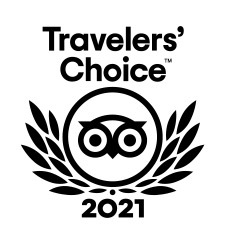 Check-in time is 2 PM, while the latest check-out is at 11 AM. All bills for meals and drinks, ordered at the restaurant, can be set on your account named after the villa or apartment you have been accommodated in. This name can be found on your keychain. We kindly ask you to sign each bill received from the waiter. Those will be added to your final account and can be settled on the check-out. Please note, that at Jambiani Villas we do not charge any fees on credit card payments. In the villa, a shopping list can be found. From this, you can order certain products, which will be brought to your villa on the same day. Note that some of the products stated on the list might be unavailable on times in Zanzibar or be seasonal and therefore non-existent. 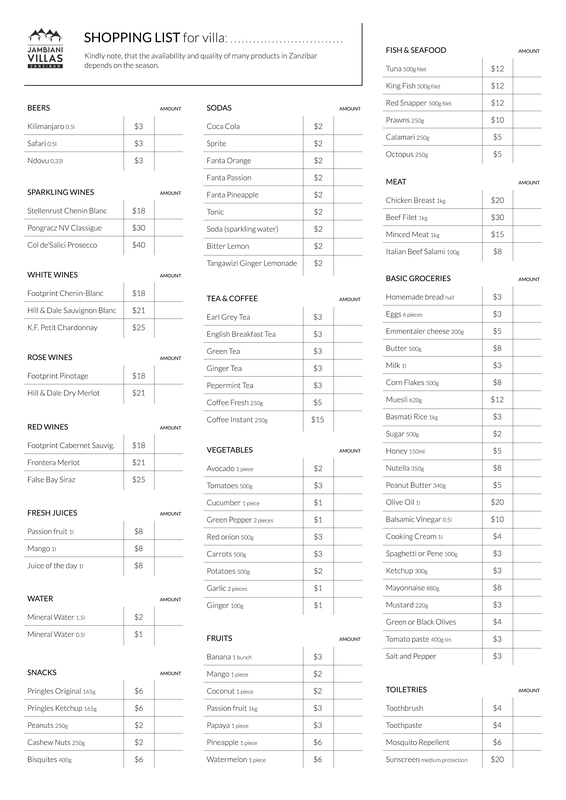 You can download the shopping list here and send it to us before your arrival. The products will wait for you. Grocery shopping on Zanzibar can be done at the stalls or small shops owned by the local community. Here you can find only primary products. A wider variety of goods can be found in a few shops located in Stone Town. There is a small shop situated 200m from our hotel. It is called Baghdadi Store and you can find it on the main village road which connects our properties. Tourist visas for Zanzibar are available at the airport upon arrival at the immigration desk. The tourist visa costs 50$ and entitles you to stay in Tanzania and Zanzibar up to 90 days. It may occur that airport functionary will demand payment with a credit card, rather than cash, therefore it is recommended to have both at the time. Be aware that the waiting time is around 45 minutes. You can save some of that time by printing and completing the following form (Visa application forms) prior to your arrival. We offer our guests transfers from and to the airport or ferry (55 km) with the new Toyota Alphard. The cost is 60$ per car (up to 6 people) one way and 110$ return. There is no government-owned public transportation in Zanzibar. Privately owned, so-called ”DalaDala”, functions as a collective taxi that serves as the only kind of public transport. It is definitely the cheapest and most adventurous conveyance on the island. The term DalaDala evolved from the Kiswahili word “Dala” — a colloquial reference to the US dollar that approximated the cost in shillings during the 1970s and 80s. If you plan to rent a car or a motorbike, remember to always have your driving license and Zanzibar Driving Permit, which you can buy at the car rental company (25$). Police checks occur on a daily basis, where the documents as car insurance and issue date of servicing are being checked. Please note that on Zanzibar left-hand side traffic applies. It is a common way to use a taxi as a mean of transportation between points A and B. In Zanzibar, you pay for a route rather than a kilometre, and we set the price prior to your departure. Be aware that you need to order a taxi at least 20 min before your desired time of departure for shorter distances and an hour for the longer ones. Taxis, which we use for our guests are of the highest quality. Cars and drivers are insured. In the event of any failure, a spare car is always available near Paje and Stone Town. For recommended vaccinations and other medical advice, we suggest to talk to your doctor well in advance before your travel. Do not drink water from the tap. Ask if ice cubes are made from bottled water. Wash your fruits and vegetables with bottled water before eating. Unlike the mainland of Tanzania, a chance for being infected by malaria, while in Zanzibar is low – 0,02%. However, we recommend to use products preventing you from mosquito bites and closing insect nets installed in the villas. The area of high malaria risk on Mainland is situated by the Lake Victoria. The local currency is the Tanzanian Shilling that is valid on Zanzibar, Pemba and the Tanzanian mainland. We recommend exchanging your home currency to US dollars before departure to avoid bank charges. However, many places accept USD, Euro, Pound Sterling. Please note that the US dollar shouldn’t be older than 2006, because of the poorer exchange rate. At most bureau de change, larger notes fetch a better exchange rate than the smaller notes. At Jambiani Villas we do not charge any fees on credit card payments. Keep in mind, however, that a 5% fee is practiced in many places on Zanzibar. The best rates to exchange money is in the exchange office at the airport parking. (NOTE! Not one inside the airport!). Apart from many bureaux de change in Stone Town, it is also possible to exchange money in Jambiani Villas on a fixed monthly rate. Please kindly be advised to check with your bank before arrival regarding maximum amounts for withdrawals, and a maximum number of transactions allowed within a day. Also, note that some banks have to activate your debit or credit cards for foreign countries before embarking on a holiday. Each withdrawal from an ATM, Tanzania Bank charges with $4-7 commission. The nearest ATM is located in Paje and the maximum amount per swipe is 400 000 TSH (+/- $170). Umoja. Please note that Umoja ATM accepts local cards, rather than international. If you wish to obtain a local SIM card you need to present your passport before the purchase. For mobile internet, we recommend Zantel due to its growing network of the 4G/LTE, whereas for call purposes Halotel. In 2008, Zanzibar got connected to the Internet. Across the island, you can mostly use the 3G network, in some exceptions 4G. However, please remember that the speed and the quality of access will not be the same as you know it. We call its speed “pole pole”, what is Swahili means “slowly slowly”. For the convenience of tourists, several hotspots have been set around the city of Stone Town. You can find them at the airport, ferry terminal, Forodhani Gardens, Mercury’s Restaurant and La Taverna restaurant. Most hotels and restaurants across the island also offer free Wi-Fi access for their guests. Low and high tides are very well noticeable at the east coast of Zanzibar. At the low tide, the ocean retreats far from the shoreline. At that time the ocean’s bottom reveals, what makes it possible to up to 1,5 km far from the beach. The high tide, dependable on the incoming amount of water, you may not be able to walk on the beach for few hours, what more, large waves easily splash right onto the fencing of resort premises. It is advised you orientate yourself about tides flow, by asking staff or via the internet. You will find here articles describing places worth to visit, tips, some facts that you should know before you will come to Zanzibar and much more! Jambiani is a long village that spreads over several kilometres along a stunning span of coastline and is one of the most recommended places on the island to gain an insight into local life. Zanzibar is a beautiful island that can impress everyone with it's naturalness and diversity. This heavenly place consists of two larger islands and tens of smaller ones, where each of them is breathtaking. Sign up for our Newsletter and get 10% discount for direct bookings. You don’t need to worry, we will not send any spam.